Wie man aus meinen früheren Blogbeiträgen sehen kann, bin ich ein Fan von C.S. Lewis. Trotzdem (bzw. gerade deswegen) poste ich diesen interessanten Beitrag, weil er ganz gut auf den Punkt bringt, das auch ein begnadeter Autor wie Lewis nicht in jedem Punkt „richtig“ liegen muss (wie wir alle auch, die wir noch nicht „fertig“ sind) … – etwa seine theoretische Möglichkeit eines „purgatory“ und die damit verbundene Möglichkeit evtl. auch nach dem Tod zur Umkehr zu finden?! Welches Buch von Lewis, bzw. welche Idee oder Zitat hat Dir auf deiner geistlichen reise am meisten geholfen? A well-known Christian author whom I greatly respect encouraged me to begin a series on the shocking beliefs of some of the great Christians who have impacted church history. Every follower of Jesus is a rough draft. Over time, the great Editor – the Holy Spirit – shapes our lives and views. But until we see the Lord and “know even as we are known,” we’re are in process. This is also true for those Christians who have gone before us. Therefore, one of the mistakes that we must guard against is to dismiss a person’s entire contribution because they may hold (or have held) to ideas that we find hard to stomach. Speaking personally, if I demanded that a person’s views on every subject under the sun be identical to mine as a condition to be helped by them, then if I had met myself 20 years ago, I’d have to disfellowship myself! The truth is, my views on some topics have changed over the years. Point: we are all in process. None of us gets everything right all the time. That stands true for every Christian who has ever breathed oxygen. So my purpose in highlighting some of “the shocking beliefs” of those upon whose shoulders we all stand is not to burn these folks in effigy. Nor is it to dismiss their positive contribution to church history. Rather, it’s to demonstrate that even though they may have held to views that would raise the eyebrows of most evangelicals today, that doesn’t overturn nor negate the valuable ideas they contributed to the body of Christ. Unfortunately, many evangelicals are quick to discount — and even damn — their fellow brothers and sisters in Christ over alleged doctrinal trespasses, even if those same brothers and sisters hold to the historical orthodox creeds (Apostle’s Creed, Nicene Creed, etc.). Such discounting and damning can always be avoided and it serves no one on the Kingdom side of the aisle. When diversity within orthodoxy is encountered, grace should be extended. Just as we would want grace extended to us, seeing that none of us sees perfectly (Matthew 7:12). The words of Paul of Tarsus contain thunder and lightning for us all, “Now our knowledge is partial and incomplete . . .” (1 Corinthians 13:9, NLT). That said, the first post to kick off this series will feature the shocking beliefs of C.S. Lewis. Interestingly, he died the same day that John F. Kennedy passed away (November 22, 1963). Strikingly, both Lewis and Kennedy were called “Jack” by their friends. Nonetheless, despite his amazing contribution to the Christian faith, here are six shocking beliefs held by Lewis. PLEASE READ THIS BEFORE PROCEEDING: These beliefs aren’t shocking to me necessarily, as I’ve read a good bit of C.S. Lewis as well as the Eastern Fathers, Anglican and Catholic scholars, and the like. But they will be shocking to many evangelicals, especially those who have claimed Lewis to be an icon of evangelicalism. They will not be shocking to most non-evangelicals. I’ve also deliberately not mentioned any of Lewis’ “shocking” actions as this series is focused on beliefs. This is part one of a series. You can read subsequent installments at the bottom of this article. But please keep in mind the point of this post – and this series – which is stated above. Since I’m not writing this for scholars, I’m intentionally not documenting each statement with page numbers. But the source books are listed so you can verify them yourself if you’re skeptical. He discusses this in his book, Letters to Malcolm. In A Grief Observed, Lewis talked about his deceased wife, Joy, connecting her to purgatorial sufferings and cleansings. Lewis believed that salvation is by grace, but to his mind, it produces total transformation and requires human reception. Thus he felt that transformation can even occur after death, and some Christians need to be cleansed in order to be fit for heaven and enjoy it. For Lewis, purgatory is for total sanctification (rather than for retribution). From this viewpoint, Lewis saw purgatory as a work of grace. Lewis believed in praying for the dead. Springing out of his belief in purgatorial cleansing was his belief (and practice) of praying for the dead. He discusses this in Letters to Malcolm. Lewis believed that it was possible that those who in hell might journey toward grace after death. He frequently stated that hell is locked from the inside and insisted that hell is self-chosen. Consequently, for Lewis, there is a possibility that one day some of the damned may choose to be restored. For this reason, some have speculated that Lewis was a universalist. Lewis believed that it’s a mistake to think that Christians should all be teetotalers (those who abstain from alcohol). According to Lewis, “Mohammedanism, not Christianity, is the teetotal religion.” This is a direct quote from Mere Christianity. In contrast, many evangelicals today believe that all Christians should abstain from alcohol. Lewis believed the Catholic Mass was a valid portrayal of the Lord’s Supper (Communion). Lewis felt that the Roman Catholic view of the bread and wine is just as valid as the Protestant evangelical view. (The Catholic view regards the bread and wine to be the actual body and blood of Jesus while the evangelical view – generally speaking – regards the bread and wine to be symbolic.) He discusses this in Letters to Malcolm. Lewis believed that the Book of Job wasn’t historical and the Bible contained errors. Again, this will only be shocking to some evangelicals. You can find Lewis discussing this in his Reflections on the Psalms. 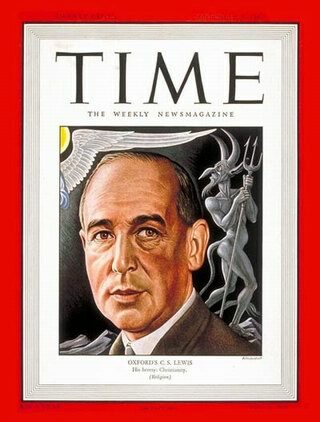 For more about Lewis’ views and especially his extraordinary life, I highly recommend Alister McGrath’s illuminating biography, C.S. Lewis, a Life: Eccentric Genius, Reluctant Prophet. This book is regarded to be the best biography of Lewis in print. And it’s a shocker in some ways. * Lewis gave away all his royalties for his Christian books to those in need. This rendered him poor during his lifetime. * Lewis had a near photographic memory. * While brilliant, he was awkward and clumsy. He never learned to drive an automobile or type on a typewriter. * He was intentional to craft hand-written responses to everyone who wrote to him. * He fought in World War I, engaging in “trench warfare,” but he rarely talked about it. * Later in his life, he felt that his intellectual powers for defending the gospel had worn thin and he believed he was a failure as an apologist because he couldn’t persuade his closest friends and loved ones to accept the gospel. * In his Problem of Pain, Lewis argued brilliantly and with unassailable logic about God’s goodness and the problem of evil in the world. But when his wife passed away, he felt that his earlier arguments about evil and pain were no longer adequate. His upgraded thinking on the subject appears in his later work, A Grief Observed. There’s much more, but I’ll leave it to you to get McGrath’s book and find out. Point: Lewis was a hero to scores of evangelicals and others. But he believed many things that countless Christians today would hold to be surprising at best and shocking at worst. Therefore, as I said at the front, let’s be more tolerant and gracious toward our fellow brethren with whom we disagree theologically. WARNING: The Blog Manager who moderates comments is a C.S. Lewis fan. Therefore, if anyone wields accusations like “C.S. Lewis is the mouthpiece of Satan” and other such sentiments, our beloved Blog Manager says he won’t approve the comment. So to the both of you who found this post on the Web somewhere and are starting to march toward the comments box with pitch forks, blow torches, and blunt objects in order to delegitimize, castigate, or marginalize Lewis beyond repair, your remark will vanish into the electricity after he hits the DELETE key. In addition, the Blog Manager says that those of you who repeat what’s already stated in the blue note at the top — that some will not find this list to be shocking or surprising (especially non-evangelicals), he will not approve the comment. He wants to keep the comments thread uncluttered to focus on this singular question. What Lewis book, idea, or quote has helped you the most in your spiritual journey? For me, there are two. And I mention them both in my free audio message Epic Jesus: The Christ You Never Knew.